Sometimes it’s the little things that count. After all, not all tech-related gifts have to be of the jaw-dropping, wallet-spanking, high priced variety. There are plenty of cool, quirky budget offerings that are perfect for the geeks on your holiday shopping list. Call them stocking stuffers if you want, but these bits of nerdie joy are clever, fun and all under $20. If fridge-bound magnetic poetry is like the everyman’s way of showing off creativity, then this geeky twist can turn any code monkey into a prolific proser. $12. 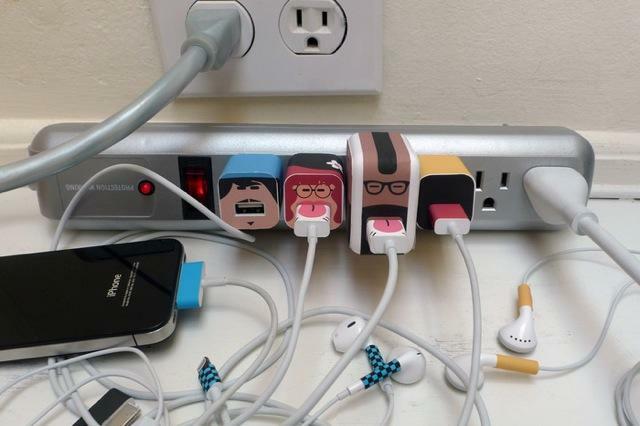 These Whooz peel-and-stick labels for iOS chargers and cords are more than just adorable — they can identify a user’s accessories amid the clutter of other people’s, to reduce the chance that someone else makes off with their kit. Best part: They can be customized to look just like the recipient. $10 each. 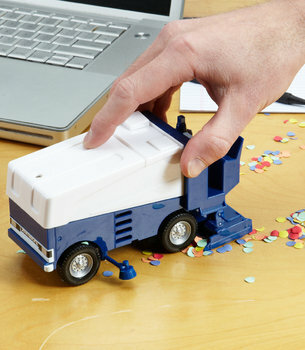 One look at this, and people want to spill crumbs on purpose, just to see the wee Zamboni Vacuum do its thing. Perfect for pals who just can’t seem to get away from that desk, even during lunchtime. $20. 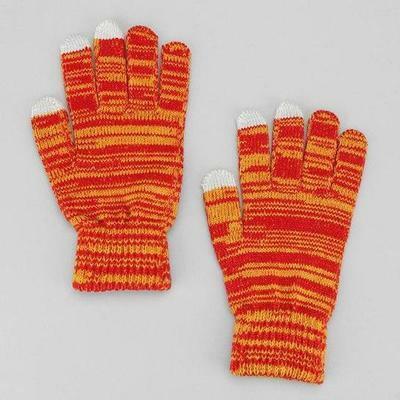 This set of Marled Touchscreen Gloves is just the thing for the pal who can’t put the phone away, even when the weather outside is frightful. $14. There are tons of products that offer camera lenses for mobile phones, but few are as handy and easy-to-use as the Easy Macro Cell Lens Band. It’s not only charming in its simplicity, but since it works for any phone, it doesn’t matter which device your pal uses to snap super close-up shots. $15. Usually water and tech don’t mix, but they do when it’s a soap rendering of iconic gaming controllers. 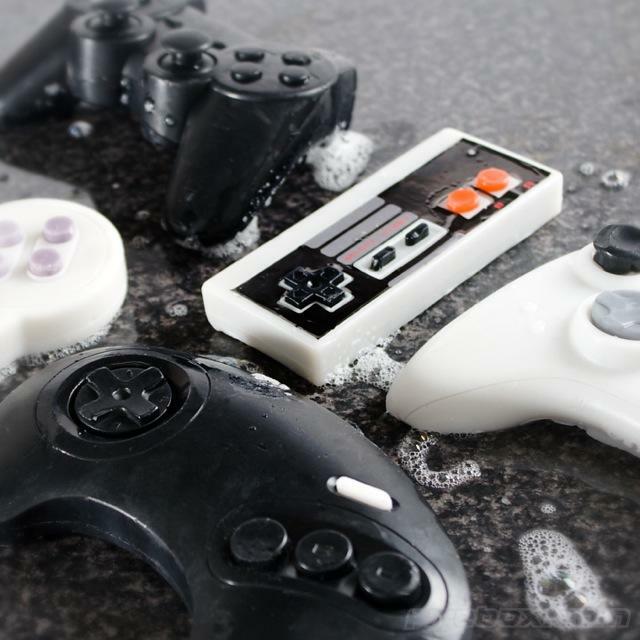 Defy the notion that bath items make lame presents with one of these gamer-approved soap bars. Pre-order for $16 (NES, SNES) or $21 (PS3, SEGA, XBOX 360). 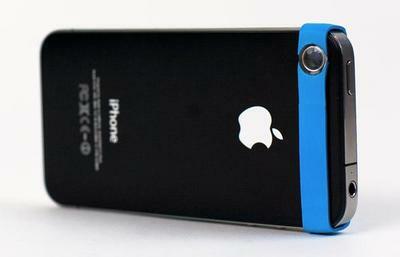 Speaking of liquids and gadgets…. There are two words that strike fear into the heart of many a technology user: Beverage mishaps. Don’t let it happen to your loved ones. With the Drink Lip, it doesn’t have to. 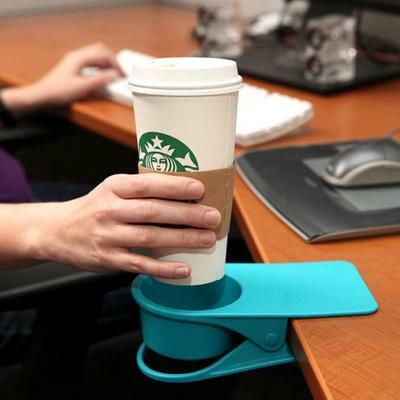 While there are even cheaper versions, we like this model because of the actual cup holder, which is perfect for corralling little odds and ends. $19. 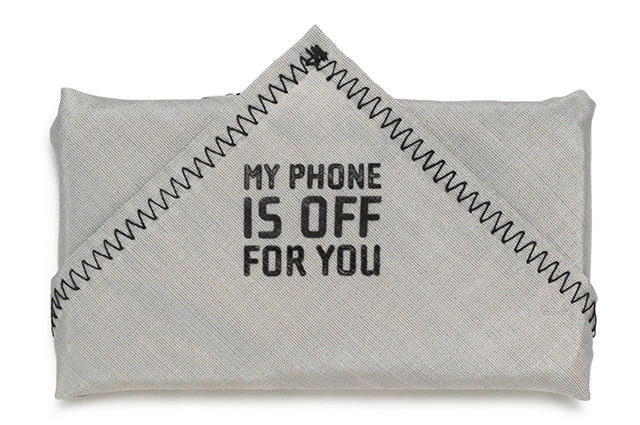 The Phonekerchief can work a couple of ways: By sporting this signal dampening handkerchief (with your own phone wrapped inside), you can give the most precious present of all — your undivided attention. Or pass along this silver-fibered fabric to a pal, so he or she can do the same and spread the good vibes around. $15. What’s the best stocking stuffer you ever got or gave? Tell us about that favorite tchotchke, giftable or accessory you just can’t live without.